Well, things are getting pretty heated on the competition front now, with some exciting new entry announcements and impressive progress made on several projects. Rather than repeat the list from the previous update (which you can check out here), to keep things concise this time round I'll focus only on the games for which I've received updates. Ernst is still working hard on Phase Out, which now has some new in game visuals and over thirty levels designed by Simon Quernhorst. 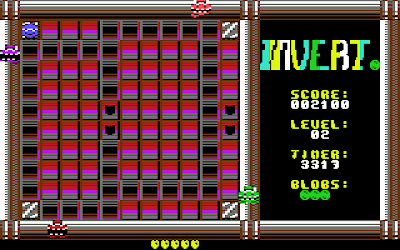 With Simon being somewhat of an expert at mini-game coding (with no less than five C64 games released to date, soon to be six), we're pretty excited about this puzzle game. Progress continues on Geir's project, with him adding the titular bell ringing section to the end of each level, breaking up the platforming and sword-fighting action with a logic puzzle to solve. It's a unique concept that seems to work really well. 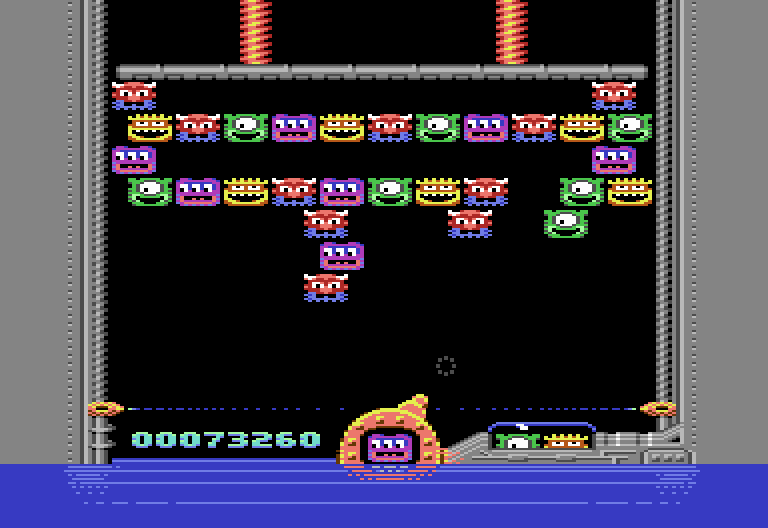 "The screenshot is from the end of a level, where the player has to ring four bells in the correct order. 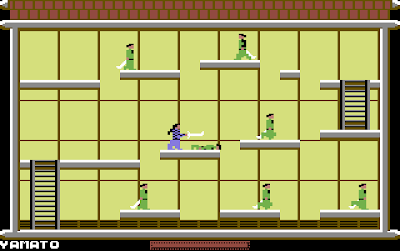 This will lower two brick walls and extend a bridge, allowing the player to proceed." Sean Connolly (Odie of Cosine) has kindly offered Geir his help in providing a soundtrack to the game, making Bellringer III one to look out for. 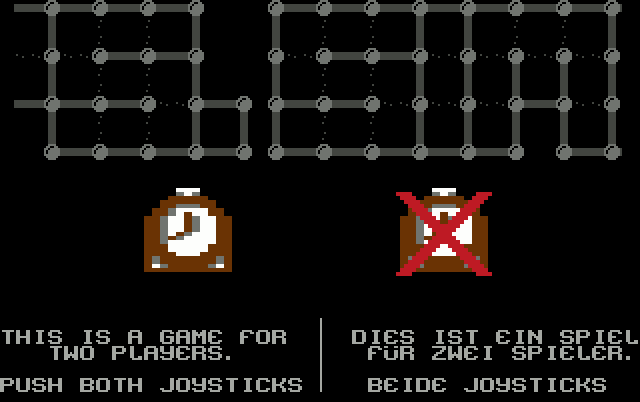 Sadly, despite making good progress it looks as though ScrambleRND 64 won't be finished in time for the deadline. Enthusi has been recently sidetracked by another couple of projects (including an Atari 2600 conversion of Assembloids) and so instead of releasing a rushed conversion of Weibo's Scramble game he decided it would be best to withdraw from this year's competition. 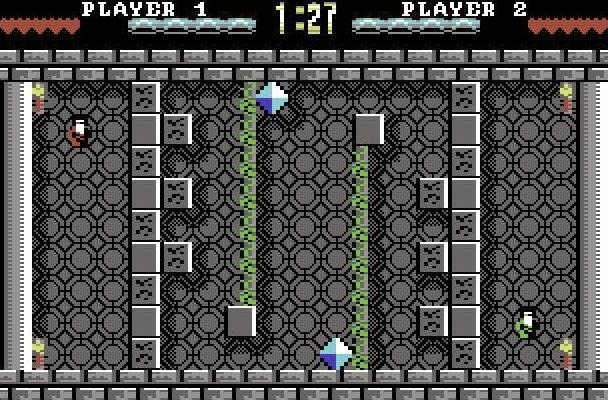 I know it is totally wrong of me to have favourites at this early stage, but despite the preview being full of bugs and breaking the filesize limit, Powerglove is still looking to be one of (my personal) highlights of the competition and a game I really want to see completed. 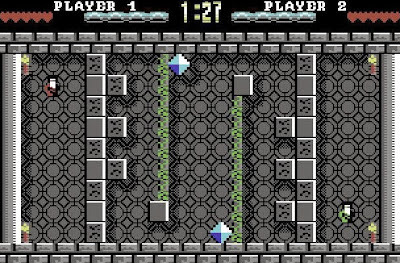 The game design has come on a long way since the last update, with the hero leaping and blasting his way through both flipscreen and scrolling rooms populated by super-cute robots, grabbing keys and backtracking through warp pipes. 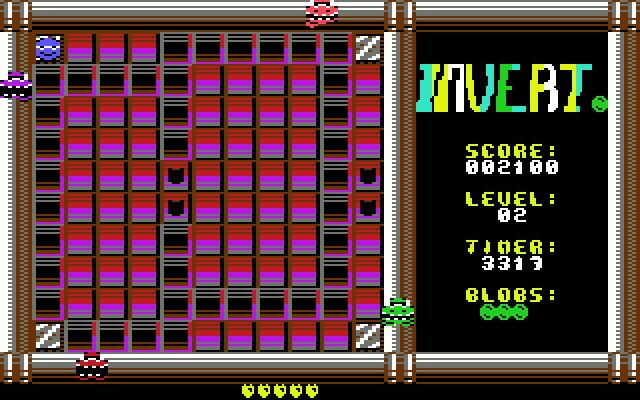 Classic stuff that's already a ton of fun to play. "I think I have included the main aspects of the game so far. Currently, I am doing the level-design and fixing the bugs. Also, I have some music from Pierre Martin (Cyborgjeff), and the music was bigger than expected so the preview is bigger than 16KB. Will fix that. Somehow. 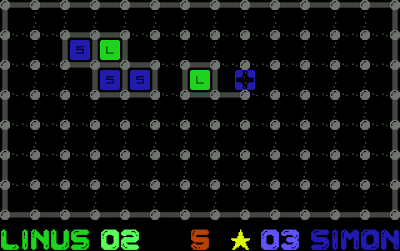 Powerglove will be a very simple game, but it might be fun to play if I manage to create good levels. That's the hardest part for me." Ok, so it looks like Paul has confirmed that he'll be able to make the 16KB limit after all, so other compo entrants beware! 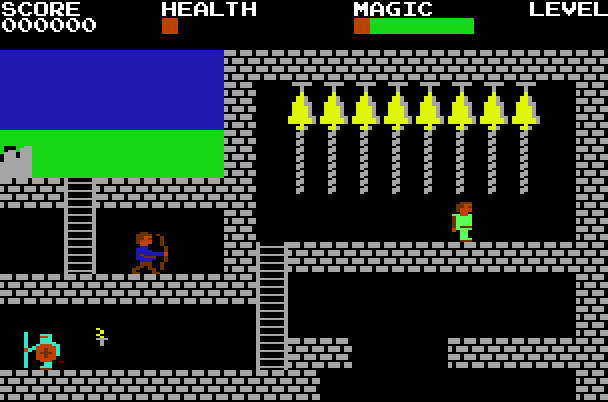 ;) The coder of the original game has also granted his blessing for an official C64 port, so M**** H****** will be coming out on cartridge sometime next year. 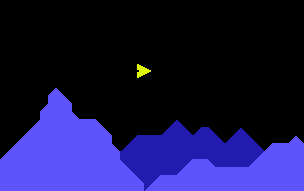 The main elements are all complete (including a full-screen solid polygon plotter at 50Hz, roughly 52K of graphics and a 22 sprite multiplexer) and Mikkel Hastrup has almost finished the soundtrack, but of course the big question you'll no doubt be asking is WHAT IS IT? 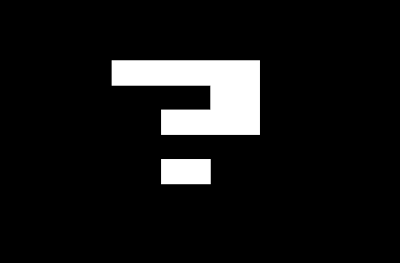 Well, you'll have to wait until RGCD's appearance at the GameCity festival later this month for the reveal. Oh yes! 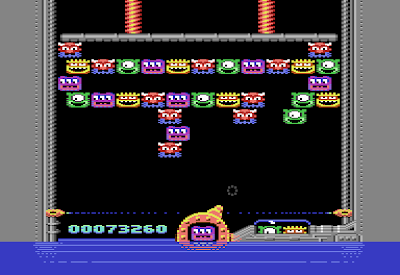 Anyone for Puzzle Bobble/Bust a Move on the C64? p1x3l.net are back with another goregous looking game, seemingly dropping the serious technical approach to the competition last year with a strategy of pure fun and beautiful pixels this time round. 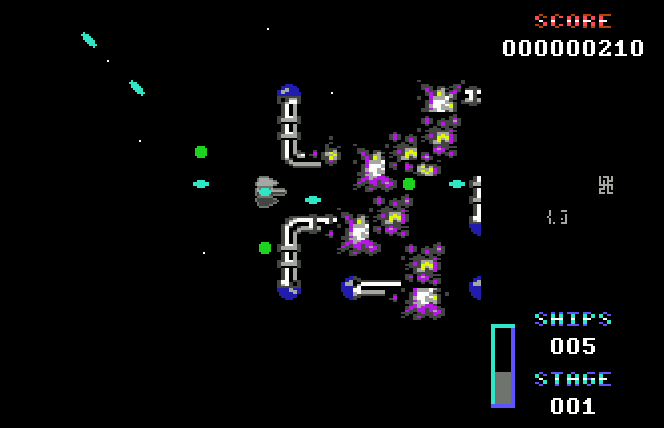 Without seeing a preview it's hard to say any more about the game at this stage, but ALeX and Retrofan have assured me that it will be complete on time with a view to shipping it out on cartridge immediately after the deadline. 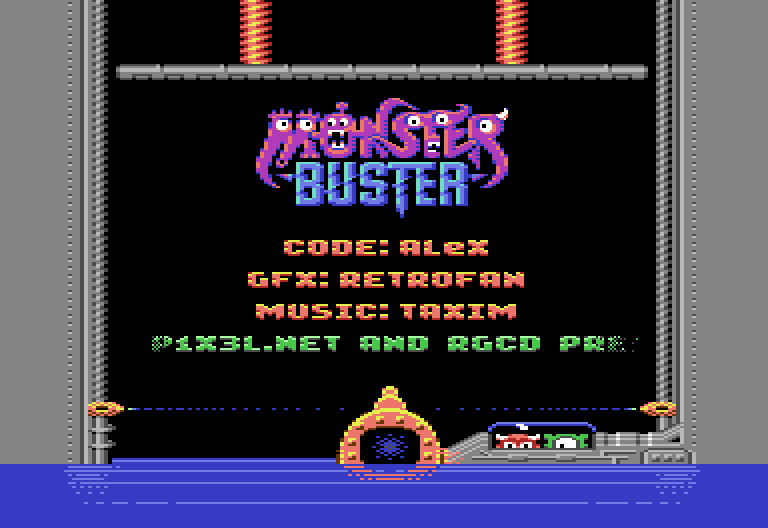 Could MonsterBuster be this year's C64 Christmas number one? Congratulations Richard! 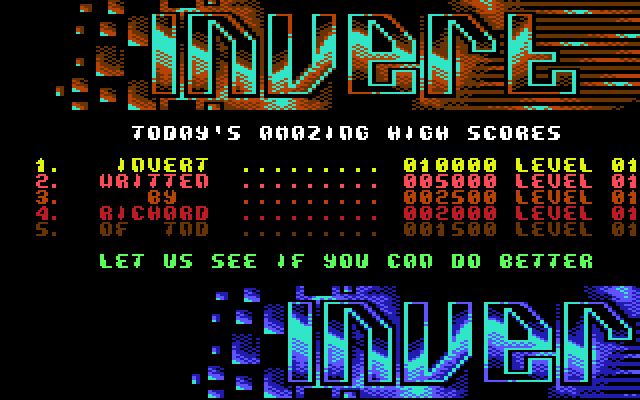 After a few months of solid work he has finally completed Invert, an arcade style re-imagining of the 1990 game Sensitive. 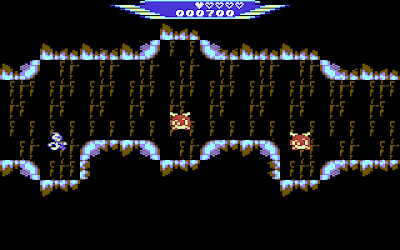 As the title suggests, the player's goal is to invert the tiles back to their original state to clear each stage - which is easier said than done when fearsome monsters sat on the borders are throwing bombs at you! 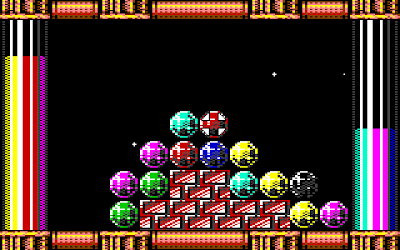 Luckily you have up to five shields at your disposal, but even so, you'll need to think quick and act fast to beat all 32 levels. Simon Quernhorst has been busy this year! As well as helping out Ernst Neubeck with Phase Out, he's also completed and submitted Linus Vs Simon, his own competition entry and a gift to his six year old son. Essentially a two-player computerised equivalent of that age-old paper based game 'squares', the execution is perfect and the presentation is really charming. 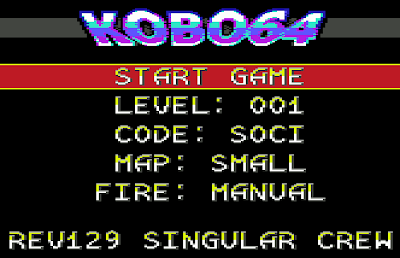 The timer that forces you to make quick moves adds an element of pressure, and the animated title screen features one of the nicest sounding and melodic SID tracks I've heard in some time. 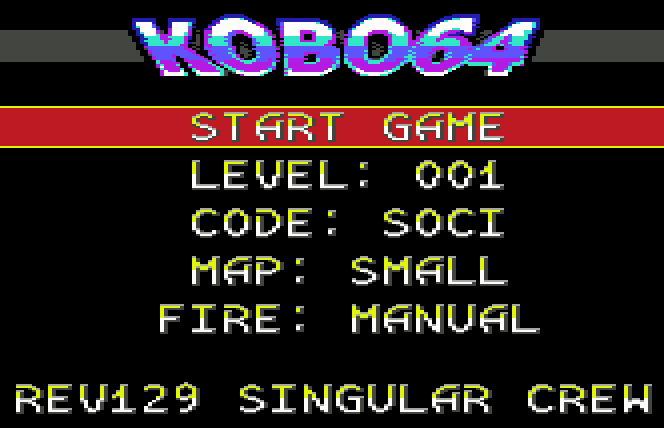 It's as if Kajtár read my personal C64 conversion wish list... One of my favourite PC indies of all time, Kobo Deluxe, has made it to the C64 in this official port! 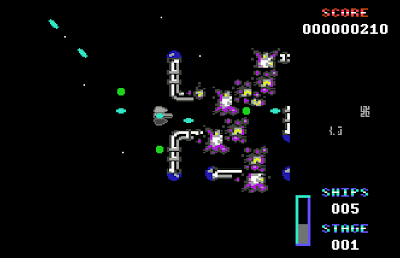 Another game that was entered near-complete and out of the blue, Kobo64 perfectly captures the frantic free-exploring shmup action of the original, despite running on 8-Bit hardware. Yet another game that I cannot wait to see finished! 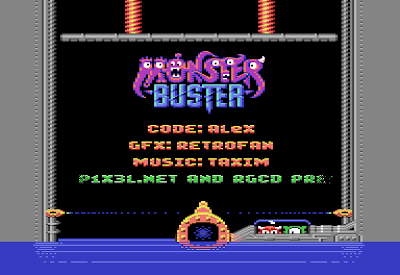 Another new entry by a new name in the C64 scene! Magic Duel is a two-player only combat game based in a world of magic and mayhem, where wizards duke it out in single screen arenas full of hazards and monsters. It may be old school in both design and presentation, but Magic Duel has it where it counts; the two player combat is a fun mix of strategy and arcade action. 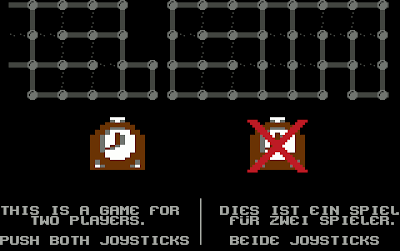 Jörn claims that the game is now 99% complete (with only minor tweaks and bug fixes left) and I'm really looking forward to seeing the final arrive in my inbox in the near future. Anyone recall the 2008 faux-C64 indie game Devil Ronin? 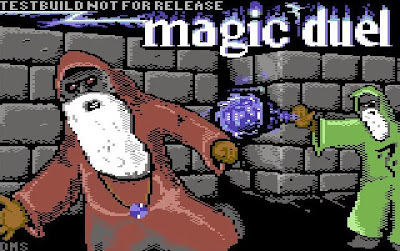 Well, RGCD's Endurion sure does, as his official C64 conversion proves! 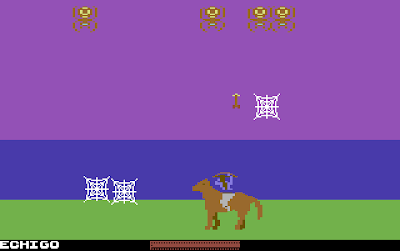 It's still a bit rough around the edges and awaiting music and effects, but the core game is complete and fully playable. The official blurb follows. "The world of Devil Ronin is Japan in the Sengoku Era, a time of great civil war. The Demon Shogun, lord of the oni, has decided to capitalise on the conflict and dispatched his demon armies to conquer the nation. You play the role of Kuruhito, an oni who has turned against his demon master and who now fights on the side of humanity. Fight your way through the historic prefectures of Japan, battling both mythic monsters and the human armies that serve corrupt lords aligned with the Demon Shogun." Endurion has been working on Devil Ronin (on and off) for years, so it'll be great to see this finally removed from his WIP folder (leaving him to focus on Hyperion no doubt). Ok, well that is all for now. More news coming soon!